Join CSS Day in Amsterdam, June 14-15. This year’s conference will include a UX Special on Thursday, and a regular CSS Day on Friday. 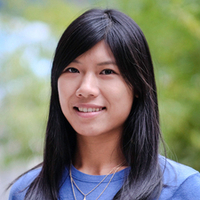 Toptal is proud to share that designer Jenny Shen will be speaking at this event. Join her on June 14 at 9:50 am for a talk titled Build bridges, not walls—Design for users across cultures. Jenny will share her experience designing for users in Europe, North and South America, Asia, and Southeast Asia — and why it’s crucial to understand diversity in design.